If you love the minimalist look, this shelf is perfect for you. The simple and stylish design will be the talking point when friends visit. 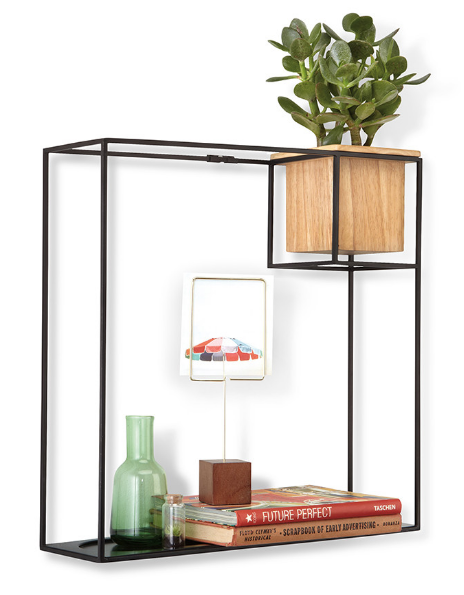 The sleek black shelf can hold books and your favourite plant too. It comes in two different sizes to suit your needs, we love the large size. It is easy to put up and the mounting hardware included. Available for £40.00 at Amara.